Philodendrons are among the most common and easy-to-grow houseplants. Many tolerate low light and neglect. If well treated, they will be beautiful and dependable for many years. The cut-leaf philodendron (Philodendron bipinnatifidum) has deep cut leaves with no holes. The vining types can be limited in height by the height of their support and by training and pruning. The self-heading types eventually can become very large and should be given ample space. This diverse group of plants ranges from vines with 3-inch heart shaped green leaves to vines with leaves 3 feet long. Some types have glossy solid green leaves, others have velvet textured patterned leaves, while some have deep red leaves and stems. While the most common types of philodendrons are vining, some are self-heading. Self headers send out leaves from a heavy clump of growth at their base. These often have dramatically large leaves in a variety of shapes. Most philodendrons prefer indirect or curtain-filtered sunlight but will tolerate low light. The common heartleaf philodendron (Philodendron scandens) will tolerate very low light. Night temperatures of 65 to 70 °F and day temperatures of 75 to 85 °F are ideal. Water frequently enough to keep the soil evenly moist, but not soggy. Never let the plants stand in water. High humidity is ideal for best growth, but philodendrons tolerate the low level of humidity in most homes. 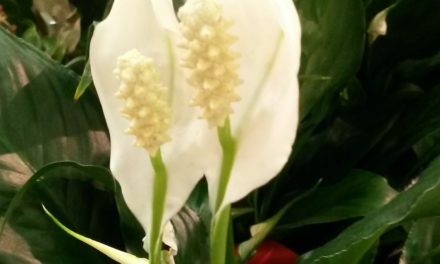 For more information, please see HGIC 1459, Indoor Plants – Watering. Fertilize philodendrons regularly with a dilute water-soluble houseplant fertilizer, or use a time-release fertilizer. You can repot overcrowded plants at any season, using a general-purpose potting soil. Plants may be propagated at any season from stem cuttings, or by air layering. Some philodendrons will produce offsets. For more information, please see HGIC 1450, Indoor Plants – Cleaning, Fertilizing, Containers & Light Requirements. In the home, plant diseases are very rarely a problem. Too much or too little water plus insects and mites are the main problems. Root rot usually results from a soil mix that does not drain quickly or overly frequent watering. Yellowing of lower leaves and the death of the growing tips can be caused by too little light or overwatering. Too much fertilizer can cause tips of leaves to curl and brown. The long leaf stalks of self-heading types are brittle. Locate these plants out of traffic paths to avoid damage. While philodendrons are generally pest-free, aphids, mealybugs, scales and spider mites can infest them. For more information, please see HGIC 2252, Common Houseplant Insects & Related Pests. All parts of philodendrons are toxic if eaten. They contain calcium oxalate crystals that will cause burning and irritation of the mouth, lips and tongue, along with excessive drooling, vomiting and difficulty swallowing. Keep philodendrons away from any pets or young children that may eat plants. The ‘Xanadu’ philodendron (Philodendron bipinnatifidum ‘Xanadu’) is a low grower that matures at a height of three feet. The ‘Dwarf Selloum’ philodendron (Philodendron bipinnatifidum ‘Dwarf Selloum’) is more compact, but can still get six feet tall and wide. The common heartleaf philodendron (Philodendron scandens f. oxycadrium) grows well in low light conditions. The ‘Burgundy’ red-leaf philodendron (Philodendron erubescens) has beautiful new reddish leaves. Fiddle Leaf Philodendron (Philodendron panduriforme): This philodendron is a climber with 12- to 18-inch, fiddle-shaped, leathery leaves that are olive green. It is slow growing and durable. Blue Fiddleleaf is a variety with small waxy blue gray leaves that are closely spaced. 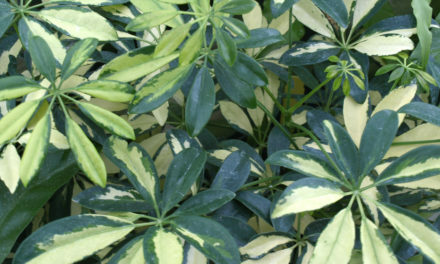 ‘Splash Gordon’ has leaves variegated with splashes of cream. Tree Philodendron (Philodendron bipinnatifidum): Tree philodendrons have a self-heading growth habit. The large, dark green leaves have deep irregular slits and can grow up to 3 feet long on a robust, erect stem. This can grow to be a very large plant and will be too large for most homes. Tree philodendrons grow best with medium to bright light near an east, west or south window. ‘Dwarf Selloum’ has glossy green and deeply lobed leaves. It can get six feet tall and six feet wide. ‘Xanadu’ is a dense low growing variety that has deeply dissected lobes. It is low growing with a height of three feet tall and five feet wide. Heartleaf Philodendron (Philodendron scandens): This well-known philodendron has 2- to 4-inch dark green, heart-shaped leaves. 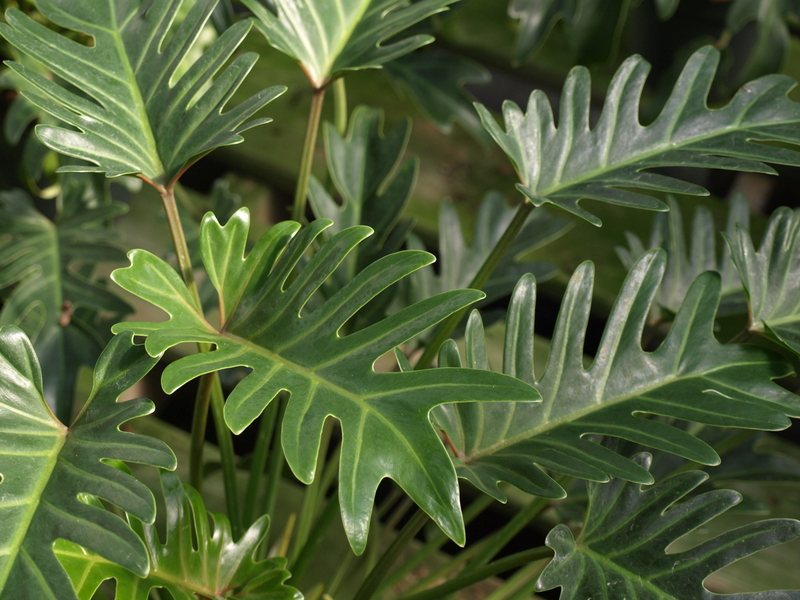 Heartleaf philodendron is commonly grown in hanging baskets, dish gardens and as groundcover in larger planters. It may also be trained upwards on bark-or moss-covered boards or totem poles. This plant is quite tolerant of low light conditions. It will grow well under artificial or existing room light, or near a north, east or west window. Heartleaf philodendrons grow well in warm temperatures of 70 to 85 °F during the day and 65 to 75 °F at night. These are very easy and adaptable plants. There are two common variants (botanically called forms) of heartleaf philodendron. They may occasionally be listed as separate species. Common Heartleaf Philodendron or Parlor Ivy (Philodendron scandens f. oxycardium): This form has glossy, green leaves that are bronzed when young. ‘Aureum’ has very showy chartreuse leaves on a sturdy plant. 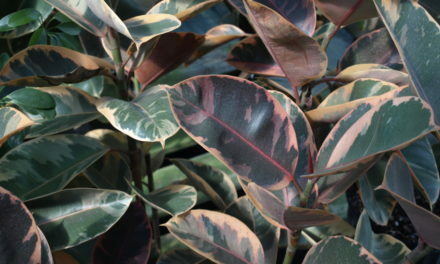 ‘Variegatum’ has gray, green and cream streaked leaves. It shows more variegation in a cool, shaded environment. Velvet Philodendron (Philodendron scandens f. micans): This philodendron has velvet-textured heart-shaped leaves that are usually bronze with reddish brown undersides. ‘Miduhoi’ is sometimes known as “Jumbo Velvet Hearts”. It is larger than the species with broad coppery leaves. 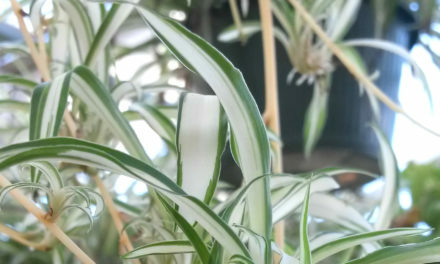 ‘Silver Sheen’ has silvery green leaves. Elephant’s Ear Philodendron (Philodendron domesticum): The narrow, arrow-shaped leaves of this climber are 18 to 24 inches long with wavy margins. ‘Calkin’s Gold’ is a large-growing hybrid with golden-toned foliage striped green. Birdsnest Philodendron (Philodendron imbe): This climber, with long, aerial roots and red stems, has 14 inch arrow-shaped leaves that are red on the underside. Red-leaf Philodendron (Philodendron erubescens): This sturdy climber has 10- to 16-inch, dark green leaves that are red to copper on the underside. The stems are reddish-purple while young. There are several cultivars selected for their color. ‘Black Cardinal’ is a self-heading philodendron, with large, 8- to 10-inch long leaves. New foliage emerges bright burgundy-red and ages to nearly black. ‘Burgundy’ has reddish leaves, burgundy veins and red stems. The 8- to 12-inch leaves glisten as though polished. ‘Red Empress’ is the only philodendron available that has a colored and lobed leaf. The deeply lobed leaves on this self-heading cultivar are reddish. ‘Prince of Orange’ has bright orange new leaves and is a compact grower. It needs high light to maintain the color and growth. The ‘Prince of Orange’ philodendron has bright orange new leaves and is a good choice for a compact growing plant. Velour Philodendron (Philodendron melanochrysum): Striking heart-shaped, velvety leaves grow up to 3 feet long. They are blackish green with pale green veins. This is a climbing philodendron. As with most philodendrons, its leaves will not reach full size unless the plant is trained vertically for several years. Several hybrids with other species have produced very decorative leaf patterns. There are several closely related plants that are often confused with philodendrons, mainly pothos and monsteras. These and the philodendrons are all in the arum plant family (Araceae). All parts of monsteras and pothos also contain calcium oxalate crystals, and are toxic to pets and children. Pothos (Epipremnum aureum): One of the most common differences between common heartleaf philodendrons and pothos is that the petioles (leaf stems) of pothos are grooved and those of philodendrons are not. Also, when new foliage emerges, each leaf of a philodendron will have a leaf sheath that protects the new leaf. Eventually, this sheath will dry up and fall off. New foliage of pothos will not develop a leaf sheath. Pothos have glossy leaves that are folded along the midrib. They are also marked with fine dots or streaks of gold, white or yellow variegations. They need brighter light and warmer temperatures than philodendrons. Pothos are commonly grown as hanging baskets, container plants, and also trained to grow upright on totems. Split Leaf Philodendron (Monstera deliciosa): Monsteras are often called split leaf philodendrons, but they are not true philodendrons, though closely related. The leaves are small and round when they first emerge, but develop holes and deep cuts in the leaves, whereas philodendrons will have deeply cut leaves with no holes. They are also known as Swiss cheese plants. Monsteras can be grown like a tree philodendron. They will not develop the interesting perforations in their leaves if the light level is too low. Pothos (Epipremnum aureum) are commonly grown up totem posts, which gives the plant’s aerial roots a place to attach and for support. Swiss cheese plant (Monstera deliciosa) will develop interesting holes and deep cuts in the leaves when grown in proper light conditions.